Choosing to give birth in water can increase relaxation and reduce the need for medical intervention and is used by almost one in three women for pain relief during labour. 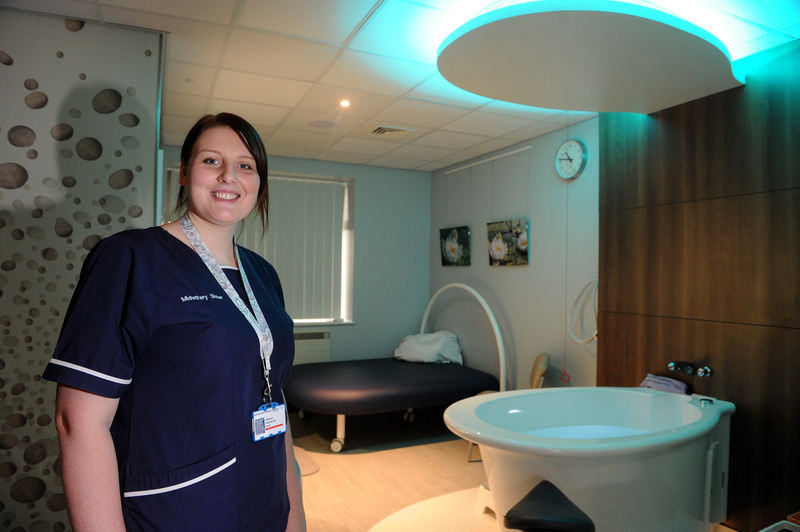 All three of the suites in the Fatima Allam Birth Centre in Hull are fitted with birthing pools and there is a pool in the delivery ward of Hull Women and Children’s Hospital. Now, midwifery sister Suzanna Lascelles is encouraging women to consider water births when weighing up their options. “Bringing your baby into the world in a birthing pool can be a special experience for new parents,” says Suzanna, who is in charge of the birth centre. “The warmth and sensation of the water can relax women during labour and help them manage contractions. According to a maternity survey by the Care Quality Commission (CQC), 38 per cent of women planned to use water or a birthing pool during labour in 2015 compared to 34 per cent in 2013. And the number of women actually birthing their babies in water has trebled in eight years, rising from just three per cent in 2007 to around nine per cent in 2015 while the number of women giving birth to their babies on a bed fell from 91 per cent to under 84 per cent. To help women consider water births, here are some frequently asked questions. What are the benefits of using a birthing pool? Being in the water decreases the effect of gravity and can help women to move around more freely and change into a comfortable position. Water can help women relax by reducing adrenalin and promoting the release of the body’s natural hormones to cope with labour pains. Women who use a pool also have a lower rate of medical intervention. Can I use the birthing pool even if I don’t want to have a water birth? Yes. 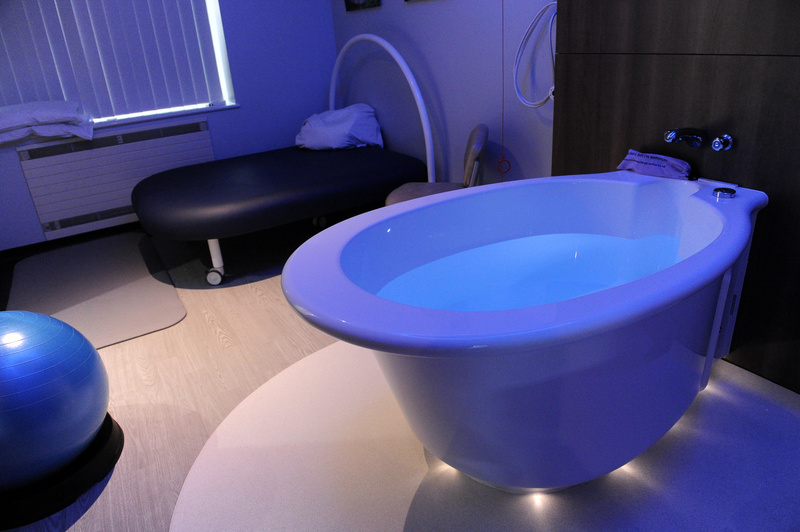 The sensation of warm water can help during all stages of labour. You can use water in the bath at home in the early stages before you come into hospital to manage early labour pains and backache. What should I wear in the water? Wear what you like. Some people wear a bikini top or a t-shirt. Others choose to wear nothing. Can my birth partner get in the pool with me? Yes, if you want them to. We just ask that everyone showers first before getting into the water and that swimwear is worn by birth partners. The three birthing suites at the Fatima Allam Birth centre all have wet rooms equipped with showers. What should I do once I’m in the water? You can move around and try different positions when you’re in the birthing pool. You can kneel or lean on the side of the pool, you can squat, holding onto the sides of the pool, you can use floats under your arms for support or you can float on your back with your arms holding the sides and your head supported on a waterproof pillow. You can also float on your stomach with your head turned sideways, resting on a pillow. If your partner is in the water with you, sit with your back against them or with your arms around their neck. There are lots of different options to try out. Drink plenty of water or juice because you’ll be using up energy and sweating so you’ll need to replace fluids. Drinking through a straw might be easier. But be prepared to empty your bladder regularly during labour so your baby has as much space as possible in your pelvis. You will be encouraged to leave the pool for short toilet breaks while you’re in the birthing pool. Your midwife will carry out observations on you and your baby to ensure you remain well and safe. She’ll keep the temperature of the water between 36 ºC and 37.5 ºC at all times. It’s important not to have the water too warm or you’ll overheat, causing distress to your baby and increased discomfort for you. The midwife will check your temperature, pulse and blood pressure are within healthy ranges, will monitor your baby and check how often your contractions are coming. Your baby’s heart rate can be monitored while you’re in the water using a water proof hand-held Doppler. Any questions you have about monitoring in labour can be discussed with your midwife when making your birth plan. Even if I get in the pool, can I still get pain relief? Yes, you can still use Entonox – gas and air – while you’re in the birthing pool. However, should you wish to have Pethidine or Meptid, you would need to stay out of the water for two hours after the injection. In what situation would I need to get out of the pool? There are clinical reasons why you might be asked to get out of the pool. These are all to do with either you or your baby’s safety. This is one of the reasons the midwife will undertake observations on both you and your baby in labour. The midwife will keep you fully informed of how both you and your baby are during labour. Can I get in the pool during labour but still give birth ‘on land’? Yes, of course. Some women are happy to use the birthing pool during labour but want to give birth to their baby out of the water. The choice is yours. Isn’t it dangerous for my baby to be born under the water? No. A baby’s breathing reflex only starts when it comes into contact with air. The reason the midwife will ensure the pool water is kept at a regulated temperature is that being born into water that is the same temperature as your body will not stimulate your baby to breathe. Your baby will not take its first breath until he or she senses a change in temperature and has the feeling of air on their skin. Your baby will still receive oxygen during this period of time through the umbilical cord. You or your midwife can bring the baby to the surface of the pool face first as soon as they are born. You can then have skin-to-skin contact with your baby in the pool, with the baby kept warm by keeping their body under the warm water while you cuddle them. Babies born under water can be calmer following birth than babies born in air and may not cry or move vigorously. This is normal and no reason for worry. Your midwife will carefully observe you and your baby following birth, giving you any guidance and support needed. Is water suitable for all women in labour? No, water birth may not be suitable for everyone. There is criteria to be able to use the birth pool and this can be discussed with your midwife. However, for healthy women who have had an uncomplicated pregnancy, using water has been established as safe. Women who have any complications in their pregnancy and do not fit the inclusion criteria for the birth centre but would still like to use the birth pool during labour can have that discussion with their named consultant and midwife. The Labour Ward at Hull Women and Children’s Hospital has its own birthing pool. Women who require care on the obstetric-led ward and whose babies require continuous monitoring in labour may still use the birthing pool with a wireless, waterproof monitor used to monitor the baby’s heart rate continuously through labour. 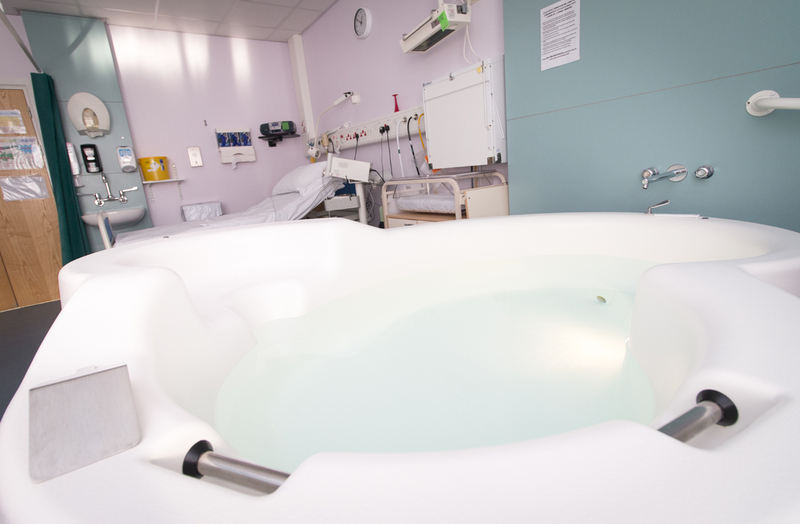 You can learn more about the benefits of water births and the use of water in labour from our midwives at the next Carousel event at Hull Women and Children’s Hospital on Wednesday, February 28, between 6pm and 8pm.